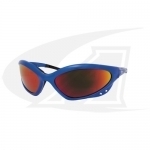 Protect your vision with Safety glasses. And don’t forget to check out our Eye Care for Welders (.pdf) technical focus paper. Keep sparks off your skin with a the proper welding safety apparel such as welding Jackets and Sleeves from popular manufacturers like Miller and Revco. We even have welding safety apparel made just for women. 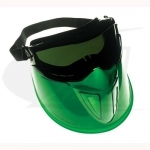 Full Face protection Googles (JAC-3010346) will keep you safe from all sorts of hazards in the weld shop. And don’t dismiss the importance of a Respirator (MIL-ML00894) or (3M-6501). It’s not just welding fumes you need to protect yourself from, it’s all the dust and debris! And of course, you’ll need a welding helmet… Arc-Zone offers both passive and auto-darkening helmets in a variety of styles. If you need help deciding what you need, check out our Guide to Selecting a Welding Helmet (.pdf). 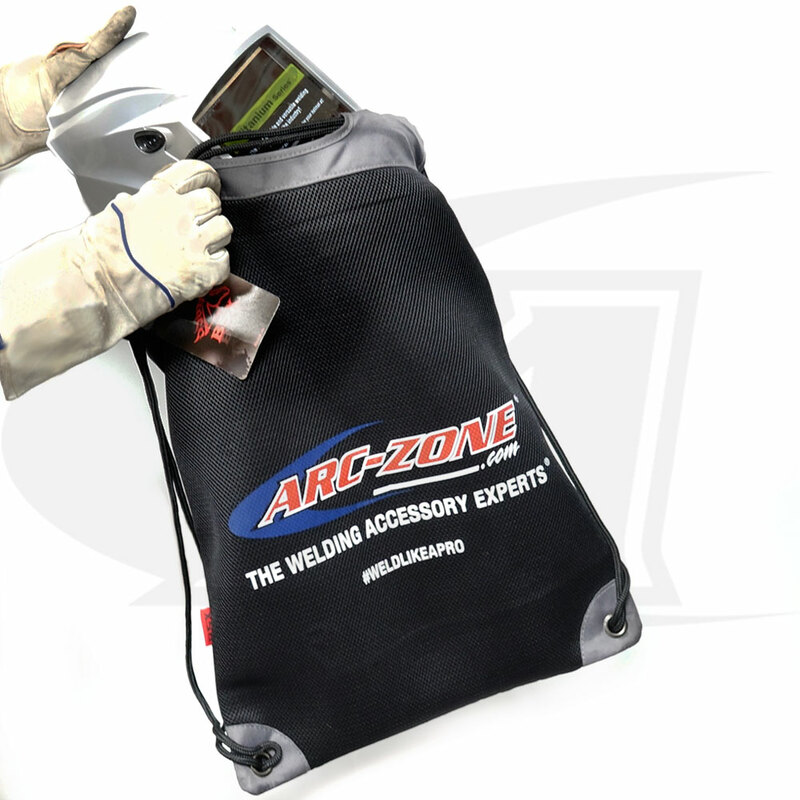 Arc-Zone’s rugged utility pack– a cinch Sack you can load up with your welding safety gear in! In fact, we thought this was such a great idea, we’re offering welding safety starter kits, coming soon! Another way to go is with the BSX® HelmetCatch™ Backpack With Side Pockets.